Ghettos, dress codes, inclusion policies, deradicalization centers. These are just a few of the European initiatives aimed at integrating immigrants of foreign descent and preventing their radicalization. With terrorist attacks hitting major European cities, the arrival of new waves of refugees from the Middle East and the return of foreign fighters from the Islamic State, the Old Continent is, again, under pressure to make sure newcomers become part of the fabric of European societies. Europe has a long history of immigration and an equally long history of trying to integrate immigrants. Throughout the past century, different countries welcomed different groups of newcomers and were thus faced with different problems. They also tried to approach the issue of integration in a multitude of ways, some countries aiming to integrate immigrants, others trying to assimilate them. It is important to make a distinction between these different approaches. According to Shiri Relevy’s 2015 study on the assimilation of European Muslims, the degree of integration (or lack thereof) of a minority group into a wider society can be assessed according to the level of segregation between the two. In theory, segregation is a neutral term that describes the “unequal distribution of a population group over a particular area.” While segregation does have positive effects (a segregated minority group can more easily preserve its identity and culture and reinforce its political voice), it is usually understood as a negative term, associated with discrimination, exclusion and isolation from the rest of the society. When immigrants first arrive to host countries they tend to live in ethnically segregated areas. Relevy explains that this is due to both cultural and economic factors. First, they tend to be unfamiliar with the rules, and often the language, of their new societies. Second, immigrant communities provide newcomers with social and cultural support, that is, a safety net until they are ready to integrate into the rest of the society. However, members of the host society are often not welcoming towards immigrants. In some cases, “natives” even go to the extent of voluntarily separating themselves from immigrants, a phenomenon referred to as “white segregation.” Interestingly, while white segregation is generally acceptable, the concentration of immigrant populations in so-called ghettos is regarded as a problem. While ghettos – segregated areas – were only meant to be a temporary solution until immigrants are more integrated and have the cultural and financial means to assimilate into their host society, they often remain in place over generations. This is because immigrants ultimately lack access to the opportunities that would enable them to move up the social ladder and integrate. These exact ghettos that were meant to be “bridges”, end up reinforcing segregation and block the “melting process” of immigrants into society. Good examples are the housing projects that were built in the ‘50s in the suburbs of big European cities such as Paris or London. These projects had the ambition to extricate underprivileged populations from the slums, but instead, undermined residents’ ability to join the labor market and integrate. The very location (on the outskirts of cities, dependent on local economy) and design (relatively closed from the rest of society) of these projects prevented them to fulfil their initial goal. As the demand for cheap labor grew after World War II, those immigrating moved into these neighborhoods. When this same demand in local industries declined a few decades later, unemployment in these areas grew together with crime rates, creating lawless ghettos. In these instances ghettos not only failed to provide a bridge to society but they even hampered efforts to integrate minority groups into society. It is clear, that regardless of the intention of the host society, whether it wants to assimilate its newly arrived minorities as fast as possible, or leave room for them to integrate on their own terms, the risk of (further) segregating these groups remains high. Due to the spatial isolation of these populations, it is easy to design policies that specifically target residents of designated neighborhoods. However, these policies often miss the point and focus on immigrants’ cultural difference from the rest of the society and not on their economic situation. A distinction has to be made between the economic and the cultural integration of people living in segregated neighborhoods. Based on a 2016 survey examining the lives of 17,900 immigrants or descendants of immigrants in France, comparing it to French citizens without an immigrant background, demographer Patrick Simon points out that most second and third generation immigrants are well integrated into French society (in terms of social and cultural factors). French is the main language they speak, they have friends from both immigrant and non-immigrant background, marriages are often mixed and their level of education is significantly higher than that of the generations before them. However, if we compare their economic situation to that of those from a non-immigrant background, it is clear that in terms of access to jobs they fall behind: unemployment and lack of social mobility are even more pronounced in the second generation than it was for the first wave of immigrants. What European governments see is that these immigrants’ descendants live in segregated neighborhoods under poorer conditions than “the average white European.” Their response to this problem? A stronger “push” at immigrants towards cultural assimilation. Countries that have favored multiculturalism in past decades are now turning towards harsh assimilation policies under the pretence that it is needed to stem radicalization. Today, both France and Denmark are in the phase of replacing their policies of “peaceful integration” by forcefully attempting to assimilate their immigrant population. The main message behind these new policies is that they are the only way to prevent the radicalization of segregated populations. Most of the time economic disadvantages are not addressed at all. Segregation: a road to radicalization? Before we look at recent European counter-radicalization efforts, let’s briefly look at who radicalizes and why. Alex P. Schmid describes radicalization as a 1) a process, which 2) involves the strategic use of political violence, that can escalate over time in terms of form and intensity, and 3) justify the use of violence through the alteration of beliefs, feelings and behavior. He also adds, that radicalization is a “context-bound phenomenon,” where “sociological and political drivers matter as much as ideological and psychological ones.” This means that apart from ideological motivations (religious or not), alienation from the host society and identity crisis are recurring factors among those who have radicalized and joined terrorist groups in recent years. From this perspective, it is understandable why European governments might want to integrate minorities in order to avoid their social alienation. If we look at the new wave of radicals, and more specifically foreign fighters, the vast majority comes from an immigrant background, but were born in Europe as part of the second or third generation. They are European citizens who speak a European language, are well-versed in the local culture, but often live in a physically and culturally segregated area, deprived of the economic opportunities non-immigrant members enjoy in their society. Relevy claims that in this situation, it is not uncommon that some individuals choose to return to their roots. As a result, a so-called self-segregation or voluntary segregation can take place. In such cases, certain groups choose to isolate themselves and limit contact with the rest of society in order to re-establish their identity. Self-segregation is not exclusively correlated to socioeconomic factors and it also affects the rich (such as the “white” districts of Paris for instance). However, by targeting people who are already economically deprived and are geographically isolated, counter-radicalization initiatives can backfire and the chances of radicalizing those whose are targeted because they are poor can only grow. This process of segregation (voluntary or not) is important if we have a look at how people radicalize. A distinct characteristic of European foreign fighters is that they tend to come from geographically delimited areas, and most of the time from the same neighborhood. This can be explained by the way through which individuals radicalize: it indicates existing recruitment networks or social ties between those who decide to leave. Experts have pointed out that three quarters of those who joined the Islamic State were encouraged by friends and peers. 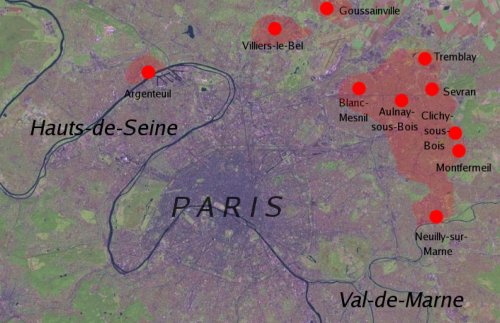 Social selection has therefore contributed to certain neighborhoods becoming more radicalized than others, such as the Molenbeek and Schaerbeek districts of Brussels, certain banlieues of the departments of Les Yvelines and Seine-Saint-Denis in the suburbs of Paris, as well as entire small towns like Machelen in Belgium or Aarhus in Denmark. Once infiltrated, these predominantly Muslim neighborhoods do not only provide a fertile ground for recruiters, but also isolation and camouflage for radicals seeking a hiding place, thus becoming complicit in harboring terrorism and causing even more distrust between the communities of these neighborhoods and the rest of the society. It is important to understand that people do not radicalize because they are economically deprived, but because they live in neighborhoods that have become hotbeds for radicalization due in part to the lack of economic opportunities. This leads to a vicious cycle: segregation results in a lack of economic opportunities which fuels resentment towards society and alienation from the host country, resulting in self-segregation and possible involvement with radical networks. As a consequence, these ghettos and their populations find themselves at the center of governments’ attention. Governments impose counter-radicalization initiatives and by extension anti-immigrant policies on the residents of these ghettos. This then results in further alienation and the reluctancy from the host society to open up to people of immigrant background. France is one of the European countries with the longest history of immigration. Without going too much into historical details, let’s point out two major turning points in French history. The first one came in 1974. Until this date, France’s approach towards its minorities (not specifically immigrants, but all ethnic, linguistic or religious minorities) could be viewed as a social pact: people could keep their cultural traditions and religion in exchange for their full participation in the construction of the nation. This approach was formed in the late 19th century when France was trying to form a homogenous nation and collective identity out of a mosaic of culturally and linguistically different regions. 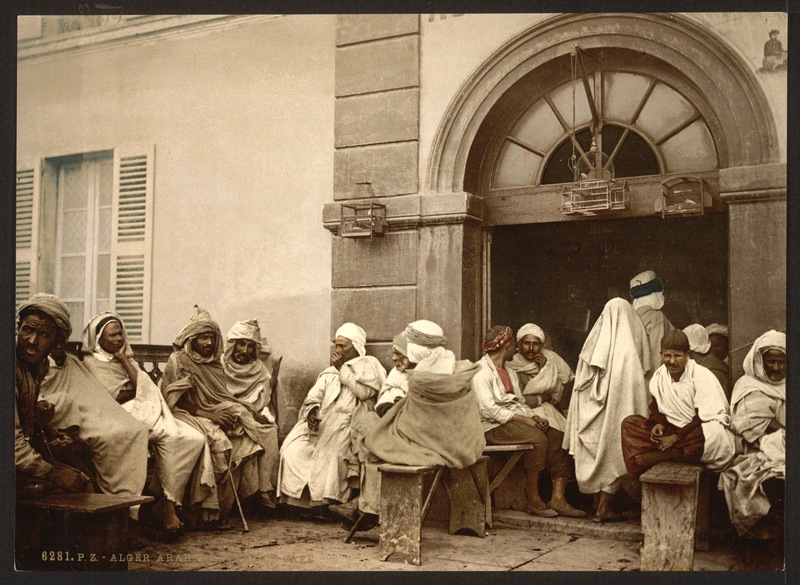 At that time, France held colonies in North Africa and extended this assimilation policy to Muslim Arabs living in these countries, categorizing them as the “least assimilable” group of French people. However, France needed immigrants so a new status was created for those living in the colonies: people were granted the right to freely practice their religion (including aspects that were illegal under French law, such as polygamy) in exchange for giving up on certain aspects that would be included in a citizenship, starting with their right to vote. Therefore, nationality and citizenship became separated, where the latter could only be obtained with renouncing one’s religion in the public sphere. Immigration grew further after World War I, attracting workers from Poland, the neighboring Italy, Spain and Belgium, and former colonies (many countries part of France’s colonial empire gained independence in the mid-20th century). The established distinction between citizens and non-citizen nationals remained, but the law of jus soli (“right of the soil”) was introduced. It automatically granted citizenship to children of immigrants born in France, further complicating the issue. Then came 1974 and France closed its borders. Immigration for the purpose of work decreased and gave place to one characterised by family reunions (immigrants bringing their families to France to join them). To adapt to this second generation, France adopted a set of new laws, under which immigrants already in France were helped to preserve their religious and cultural heritage, while at the same time newcomers were denied visas, the naturalization process for spouses was extended and family members were expelled. This approach had one goal: to ensure immigrants maintain a link to their home country, make family reunifications difficult and thus, ultimately encourage immigrants to return home. Ironically, under the new laws, for those already settled, the state supported Arabic language classes, provided religious services and the policy of assimilation was replaced by the policy of integration into a multicultural society. The term assimilation returned with Nicholas Sarkozy and his party the Union for a Popular Movement (UMP). While the debate seemed to be about immigrants’ (understand Muslims) visibility in the public sphere (the law on religious attire in schools or the burka ban), it was more about the “responsibility of these immigrants to demonstrate their commitment to French values.” In 2011 the integration and anti-discrimination policies were dismantled, bringing back the pre-1974 era of assimilation: rights in exchange for contributing to the building of the nation. Does this agreement work for both sides? Did it work for immigrants at all over time? While there is today a well-developed Muslim middle class, with second and third generation immigrants filling positions such as doctors, bankers, politicians and businessmen, it does not seem to be the case for the working class. With less connectivity to the rest of society (they remain segregated in ghettos), the French immigrant working class lacks the opportunities to integrate and therefore, becomes more prone to radicalization. Besides France, other Western European countries opted to return to assimilation policies. Contrary to France, Denmark has not been confronted with massive waves of immigration and has always been a relatively homogenous society. However, in its approach to its immigrants, it has followed a similar path to that of France: an egalitarian, secular and assimilationist approach. Most recently, Denmark has also stepped up its assimilation efforts to deal with its “immigrant problem.” The country adopted a set of laws targeting populations (mostly from an immigrant background) living in “problematic neighborhoods” (25 in total), measures that caused a Europe-wide uproar. 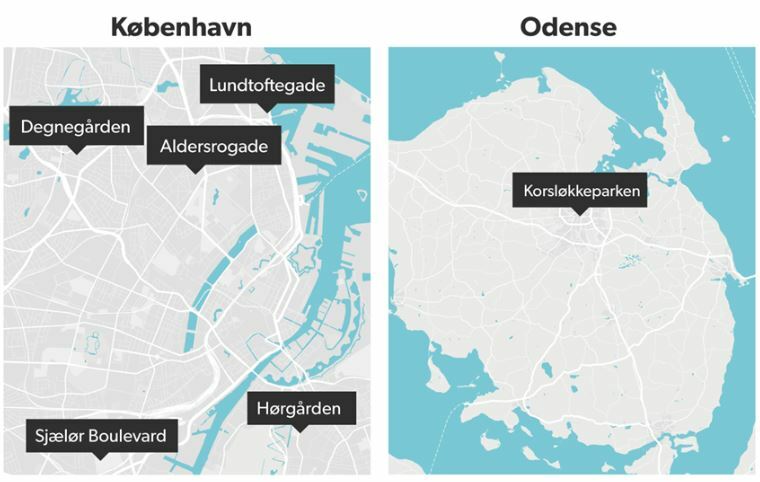 The “ghetto package,” as it is commonly referred to in the media, contains 22 proposals submitted to the Danish parliament in March, some of which have already been adopted while others will be debated later in the Fall. Given Europe’s shadowy history with ghettos, implementing laws that purposefully target populations living in these low income, Muslim majority neighborhoods, becomes even more sensitive. Yildiz Akdogan, a Social Democrat Danish politician, whose constituency includes one of these neighborhoods also expressed concerns about the use of the word “ghetto.” It has become common in mainstream Danish media to refer to adults living in these neighborhoods as “ghetto parents” and their children as “ghetto children,” indicating that a lot of people have forgotten what this entails. The package, among other things, contains laws that requires families of designated ghettos who have “failed to integrate” (though what “failing to integrate” means has not been clarified) into Danish society to send their children above the age of one to mandatory instruction in “Danish values.” This includes for instance learning about the traditions of Christmas and Easter along with the Danish language for at least 25 hours per week. For other Danish children, by comparison, pre-school is not compulsory until the age of six. According to the Danish government, this form of forced assimilation is needed since integration has failed in these neighborhoods. Some laws have a preventive purpose while other proposals adopted are punitive in their scope. An example is the doubling of punishments for certain crimes if they are committed in one of the 25 neighborhoods, based on residents’ income, employment status, education levels, number of criminal convictions and their potential “non-Western background.” Another example is the creation of a four-year prison sentence for immigrant parents who force their children to take extended visits to their country of origin (for so-called “reeducation trips”). 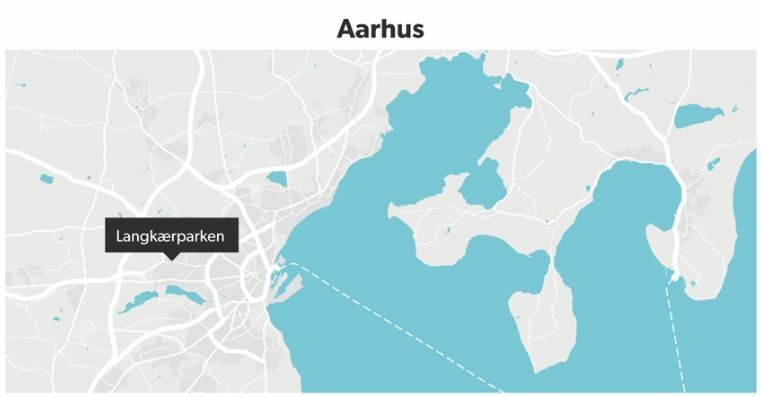 This kind of harsh approach towards Danes of immigrant origin living in these “problematic” neighborhoods is new. Just like in the case of France, what once was a policy of integration turned into a policy of assimilation. In the Danish case, however, it is even more obviously targeted at those who are poorer. Many residents of Danish ghettos would move away if they had the economic opportunities to do so. Many were settled there by the government in the first place. Though lacking economic opportunities, they are well integrated culturally. Similarly to France, they speak the local language and are well versed in the local culture. Contrary to what the Danish government believes, it seems like it is economic, not cultural factors that stand in the way of immigrants’ integration. Something language education and lectures about Danish holidays will not solve. Being culturally integrated is not enough to keep those of immigrant background away from radical ideas. If nothing else, the new generation of foreign fighters proves this. According to Patrick Simon, in France, younger generations of immigrant descent do feel that they are French, which is not surprising given how they have adapted from a cultural standpoint. They also feel that it is French society that does not view them as such. Simon also highlights the double standard mentioned earlier: European societies often expect immigrants to integrate while they themselves in turn do not encourage this integration. It would not be surprising if recent integration efforts did nothing else but reinforce this feeling. It is clear from decades of integration and assimilation policies, that the segregation of populations of immigrant background will always remain high if they are physically segregated, in separate neighborhoods. It is also clear that, as generations of immigrants grow up, they themselves culturally integrate, master the language and develop social relationships with the rest of the society. This cultural integration has to be followed by economic integration, which has to start with not confining people into neighborhoods that lack employment and other economic opportunities. The frustration caused by not having access to these opportunities while culturally and socially being part of society can easily turn into resentment and alienation towards said society. This alienation that can then deepen and lead to radicalization. Once presented with equal access to education and the labor market, it is more likely that descendants of immigrants will be able to fully integrate into European societies. Providing these kinds of opportunities to the residents of ghettos and, thus, preventing their possible turn towards radical ideas should be the core of European counterterrorism strategies.